Does your skin get irritated easily and become reddish and angry when you use certain kinds of makeup? If yes, then it is quite possible that you have sensitive skin. Sensitive skin needs different skin care products which prevent the skin from irritation. Many women with sensitive skin totally stay away from makeup lest it caused breakouts. This need not be the case. Its a challenge to find the right makeup for sensitive skin, yes, but not impossible. We suggest makeup tips for sensitive skin here that will help you experiment with makeup without irritating your skin. All you online shopping freaks, if you have sensitive skin, then don’t just order any makeup that says it is made for sensitive skin without testing it on your skin. Always do a patch test before buying. Preferably, go to a mall where you can try a small patch on your neck or jawline, walk around for a couple of hours to see if your skin is reacting badly to the makeup and then make the decision whether to purchase it or not. Impulse buys just because its a wonderful color is a no-no for you sensitive skin beauties. If your skin reacts badly to some product, then make a note of the ingredients of the product. Do so with all the products that irritate you to find the common ingredients that your skin is sensitive to. That way, the next time you are buying makeup, you can avoid products with those ingredients. Also, remember to look for products that are marked “allergen free”, hypoallergic, non-comedogenic and dermatologist-tested. These products generally do not have any irritants and can be purchased after a patch test. Keep your makeup closed and in a dry environment all the time to prevent them from any bacterial attack. 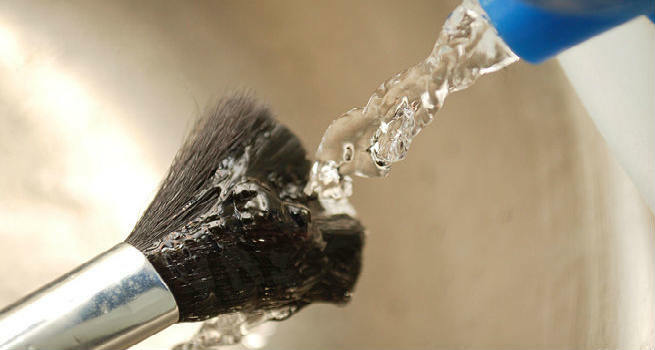 Clean your brushes and sponges regularly. Check the use-by date on your makeup products and use them up before they expire. When you care for your products, they do not irritate the skin. Use a moisturizer that is free from any fragrance. Invest in a primer that is made for sensitive skin and it will go a long way in shielding your skin from any harm done by the makeup. Use a water or silicone based foundation that is easy and gentle on the skin. Mineral makeup is devoid of any irritating dyes or fragrance. 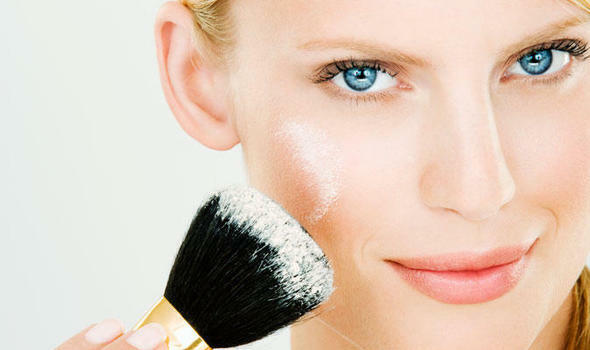 Use a light hand to apply mineral makeup and brush off excess and your skin will have a lovely glow. Women with sensitive skin should stick to light colors like peaches and pinks since darker blues, browns and greens have more pigments in them and tend to clog pores. It is also very difficult to take this kind of makeup off from the skin and they would need you to put in more effort with your makeup remover. The rule works the opposite way when it comes to eye is pencils and mascara. It is better to stick to black and steer clear from shimmer and colors. By following these makeup tips for sensitive skin, you can go ahead and experiment with makeup despite having sensitive skin and try a different look each time.